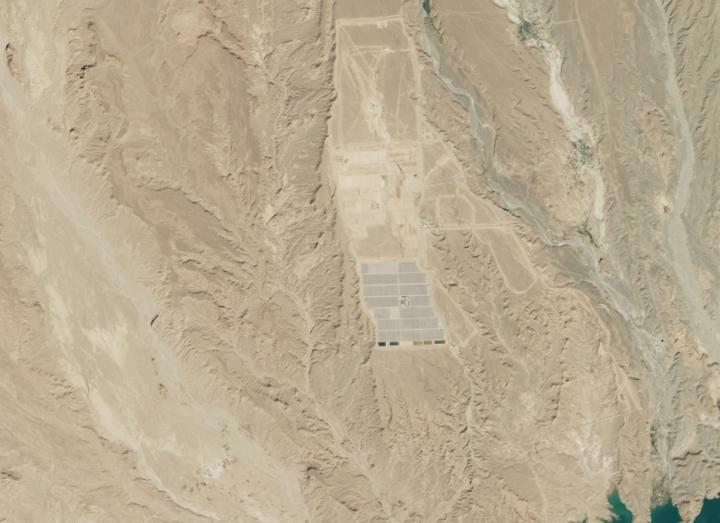 In Morocco, an expansive solar power complex begins to take shape at the "door of the desert. " A new study led by University of Maryland (UMD) scientists conducted novel climate and vegetation model experiments to show that wind and solar farms could lead to a more than doubling of rainfall in the Sahara and an increase of up to about 20 inches (500 mm/year) in the Sahel, a semi-arid transition region that lies south of the Sahara. "Precipitation increases predicted by our model would lead to substantial improvements of rainfed agriculture in the region, and vegetation increases would lead to the growth in production of livestock," said Safa Motesharrei, UMD Systems Scientist and a lead author of the paper. "The Sahara, the Sahel, and the Middle East include some of the driest regions in the world, while experiencing high growth of population and poverty. Our study has major implications for addressing the intertwined sustainability challenges of the Energy-Water-Food nexus in this region." "This study accomplishes something completely new: it looks at how human action can affect the land surface through construction of solar and wind farms, and shows that for land use change of this magnitude, it is fundamental to look at the impact on regional climate using global climate models that account for land-atmosphere feedbacks," said Paolo D'Odorico, Professor of Ecohydrology at the University of California, Berkeley, who was not a co-author. "These experiments with dynamic vegetation feedback in our model show that the positive precipitation-vegetation-albedo feedback accounts for about 80 percent of the simulated precipitation increase in the wind farm experiments," said co-author Eviatar Bach, PhD Candidate at the UMD Department of Atmospheric and Oceanic Science (AOSC). The dynamic vegetation model was developed by co-author Ning Zeng, a Professor at UMD AOSC, and coupled into the global climate model developed by co-author Fred Kucharski, a climate scientist at the International Center for Theoretical Physics in Italy.